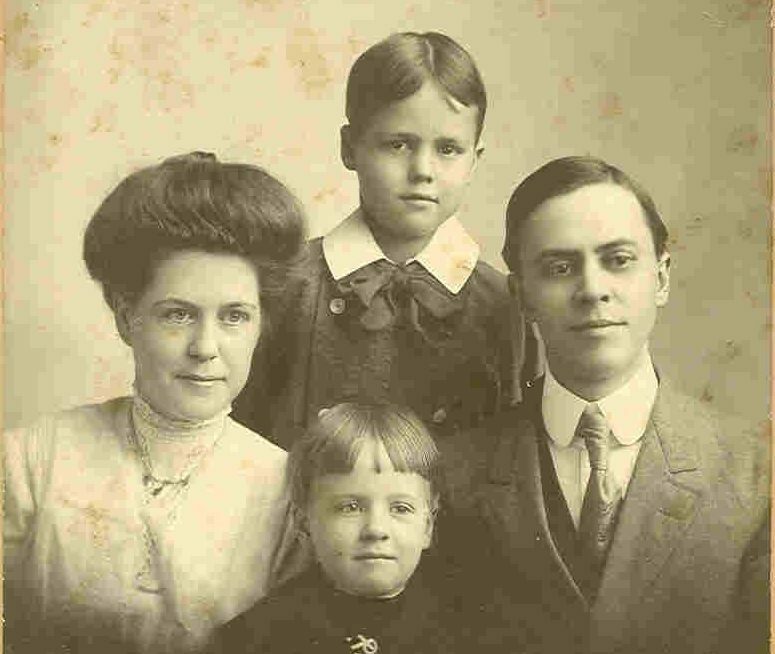 Birmingham was barely three decades old when a young man named Crawford Johnson arrived in 1901. Crawford Johnson Sr came from Chattanooga, Tennessee, where he was employed as a law clerk. He brought his family … a business vision … and the courage to take a bold risk in a new idea. Johnson established Birmingham Coca-Cola Bottling Company in 1902 in a modest facility at 109 North 24th Street. The business was launched with $12,000 of capital, most of which he had borrowed. The workforce consisted of himself, one assistant and a delivery mule named Bird. Because competitors were imitating the product Coca-Cola, The Company and its bottlers designed a uniquely shaped bottle to distinguish it from imposters. In 1915 Birmingham was the site of a secret test to produce what would become, and remains to this day, the world’s most recognized commercial symbol – the contour Coca-Cola bottle. Meanwhile the Coca-Cola system was growing rapidly, and Crawford saw opportunity beyond Birmingham. 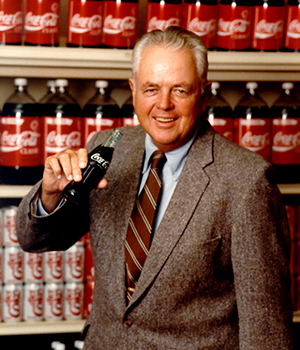 His sons – Crawford Jr. and Allen – joined the business in the 1920s, which allowed Crawford Sr. to focus on acquiring Coca-Cola franchises in other southern markets. World War II brought material and ingredient shortages that severely limited bottling operations. Many of the company’s experienced associates joined the military. Crawford Jr. and Allen volunteered, so Crawford Sr. resumed leading the company. His untimely death in December 1942 left a sudden void in seasoned leadership. 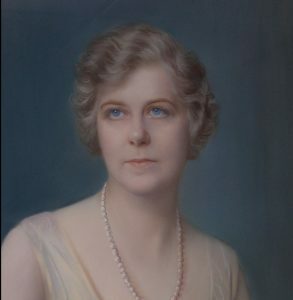 Again, strength of family was revealed as Crawford’s wife, Caroline, having demonstrated skill and determination in important civic endeavors, took over the presidency of the company. She led it until her sons returned from active duty. In the post-war boom, sales hit new heights and the third generation assumed leadership responsibility of the company. Bringing fresh entrepreneurial energy, Crawford Johnson III led the integration of four scattered territories into a single company – Coca-Cola Bottling Company UNITED — which was incorporated in 1974. Crawford III also advanced the family and company legacy of service to others. In his role as Chair of the bottlers’ association, he led the creation of the prestigious and national Coca-Cola Scholars program to honor the 100th anniversary of Coca-Cola in 1996. The support of education and scholarships remains an important part of the company’s philanthropy today. 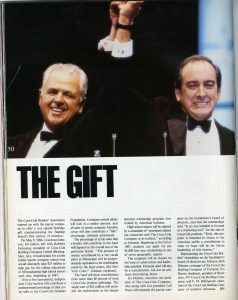 In the early ‘90s, Chairman Claude Nielsen, later joined by CEO John Sherman (pictured right), ushered in Coca-Cola UNITED’s second century — building a talented leadership team and world-class commercial capability, in preparation for significant growth. Coca-Cola UNITED’s amazing story continues today. Members of the fifth generation of the Johnson family are among the nearly 10,000 associates that are part of the Coca-Cola UNITED family. Since 2014, Coca-Cola UNITED has more than tripled in size, scope and revenues. 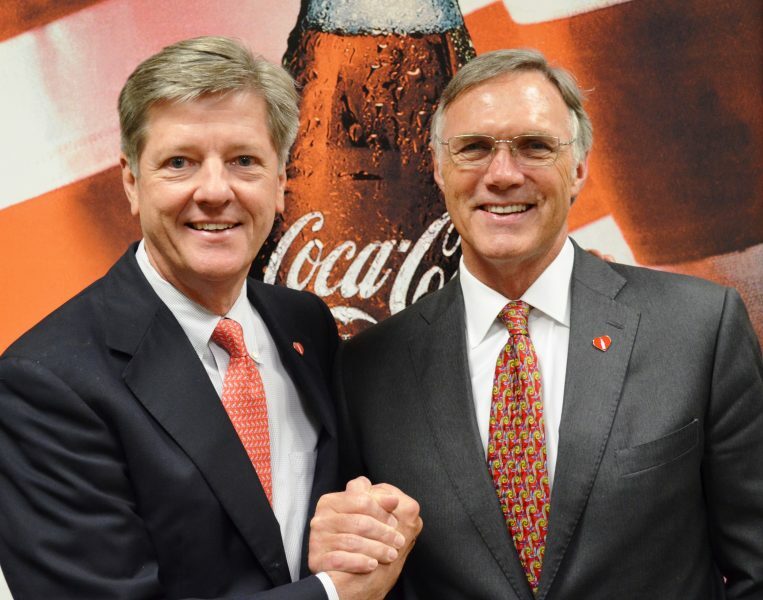 The stage is set for continued growth for Coca-Cola UNITED as it continues to bring value and delight for its associates, consumers, customers and communities throughout the southeast. A refreshing story indeed!